Coconut Slots draws inspiration from the typical fun of a beach setting to present a beautiful platform that has all the features to keep you on your toes. Coconut Slots is packed with so much excitement and fun. Hence, whether on mobile or PC, it is never a dull moment. Coconut Slots is a brand new entrant from one of the top operators in the industry. Nektan is known for its unique simplicity; speed; mobile friendly nature and quality. Hence, if you crave a platform where you get to enjoy the best of mobile gaming at your own convenient time, you certainly will be pleased with the site of Coconut Slots. To make it easy for players to find their way around, the games are carefully arranged. Likewise, Coconut Slots uses minimal graphics to present a platform with an almost perfect flow. When you make your second deposit, you stand a chance to double that amount up to £350. In addition, you will also receive 25 extra spins on aloha Spins. The third and final welcome bonus offers you half of your deposit amount up to £500. 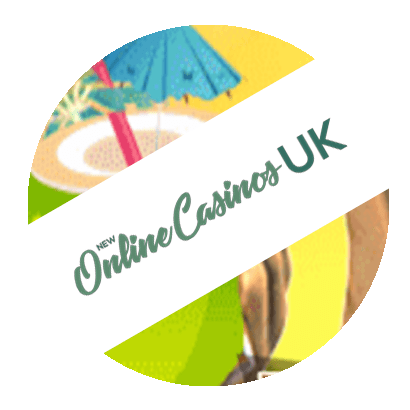 So, if you make a deposit of £1000, you will receive an additional £500 to enjoy your favourite Meanwhile, it also comes with 25 extra spins on Aloha Cluster Pays. So far, there is no doubt that the welcome offer from Coconut Slots is a very handsome one. However, you must meet the wagering requirement of at least 40 times. More importantly, you only have 24 hours to complete this requirement. This is really a short time but if you are up for the challenge then the bonus is all yours. Coconut Slots sets in motion a list of some cool promotions to reward loyal players. There are currently 4 levels in the VIP club. Each of these levels is based on your total deposit and wager. Hence, as you continue to place more bets, you will move from one level to the other. Meanwhile, that upward movement comes with a lot of rewards. In general, the benefits of the VIP club includes lots of exclusive promotions and reloads; personal VIP account manager; higher deposits and withdrawal limits; Express withdrawal time; special birthday and anniversary gifts; level up bonuses; monthly cash backs, etc. In addition to the VIP club, Coconut Slots also has a number of promotions that are currently active. Hence, you can select from the active promotions that include Happy Hour; Top O’The Morning Tuesday; Happy Hump Day and Weekend Bonanza. Each of these promotions has different rewards. Likewise, the requirements might be different as well. Deposits can be made via mobile using Boku. However, this does come with some extra cost and the method cannot be used for withdrawals. On the other hand, Coconut Slots does feature a few other selections of payment options that can be used for both withdrawals and deposits. Examples include Neteller; MasterCard; Trustly; Visa; Maestro; Skrill etc. Each of these payment methods presents a safe, convenient and fast means of making deposits and withdrawals. So, it is up to you to make your choice. Just like every other casino. Coconut Slots offer players support via their support team. The team comprises members that have been trained to treat players with courtesy. Hence, you will find them very helpful and resourceful at all times. Meanwhile, it is easy to get to the support team via email, telephone, and live support. Coconut Slots is packed with excitement. The platform features a huge selection of quality games from some familiar game providers. The welcome bonus is quite enticing and there are lots of promotions to make you stay around a little longer. Don’t miss any new online casino. Bookmark us today! Thanks for reading.